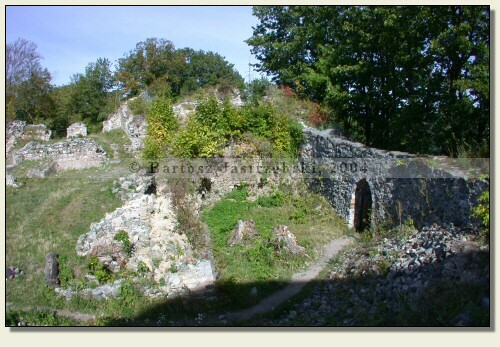 Searching difficulty: It’s very difficult to find the ruins of the Wleń Castle. 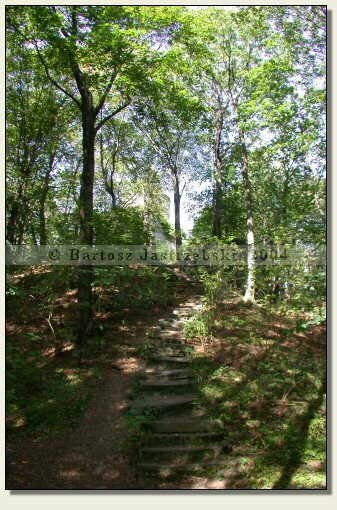 First and foremost, because it is not at all situated in Wleń but in neighboring Łupki, moreover it is on the hill overgrown with the forest, and inhabitants cannot exactly show the way to the ruins. Driving down the road no. 30 from Jelenia Góra towards Zgorzelec in Pasiecznik you must turn right into the road no. 297 towards Lwówek Śląski. After covering 12km, past Goleniów You need to turn right towards Wleń. About 400m before the board with the name of the place Wleń you have to turn right into an asphalt road uphill. There you arrive at the place Łupki (a white board since before, ahead of Wleń there is a green one), and in there you should drive down the main road uphill all the time until you spot the old estate’s buildings on the left side by the road. Before them there is a narrow dirt road with a green trail. There you have to leave your car and walk down that road as far as the board with information about the nature reserve. At that place you ought to make a decision whether you choose to follow the yellow trail (to the left) to the ruins or stony stairs (to the right). 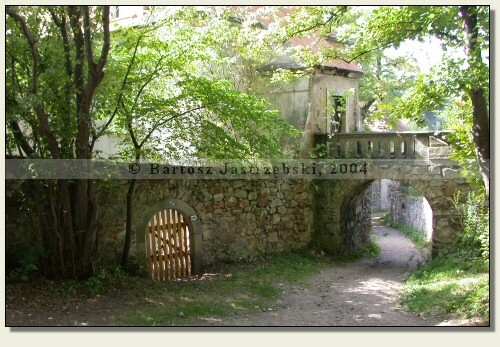 Regardless of a chosen road, at the end of it there are the ruins of the Wleń Castle. For practical-sightseeing reasons I recommend following the yellow trail uphill whereas descending the stairs. 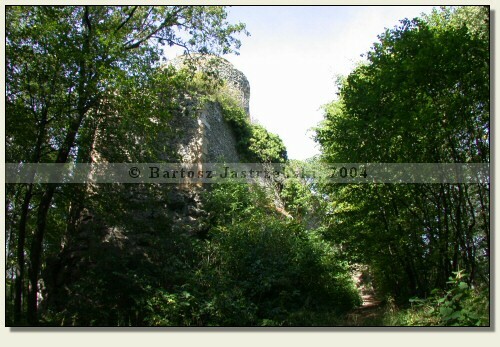 The place Wleń appeared for the first time in documents written in the bull from 1155 while the beginnings of the castle were probably the years after 1163, when the duke Vladislav II’ sons returned from an exile. 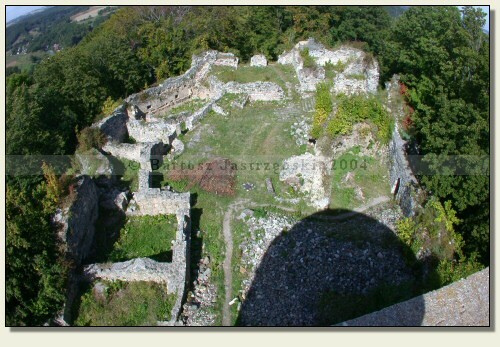 If that hypothesis proved to be true, it would mean that the Wleń castle is the oldest castle foundation in Poland. 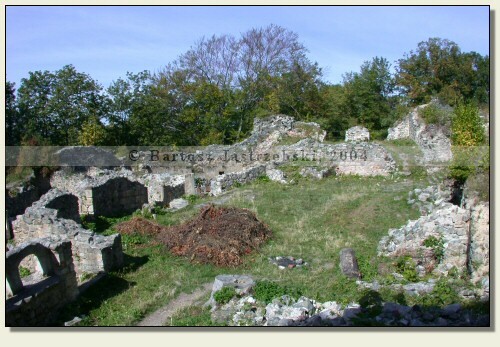 Originally the castle was the residence of castellany, however the Piast dynasty were using it also as the prison. 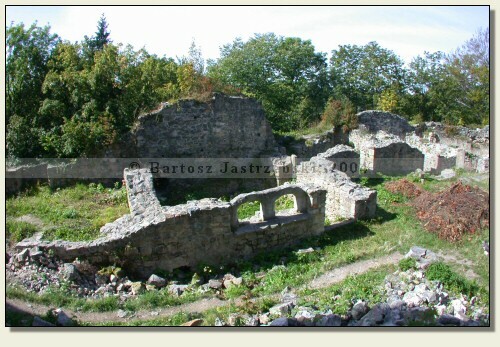 After the regional division of Poland the castle became the property of the Piast line of Świdnica-Jawor, and after its extinction came into the hands of knights’ families. In 1567 the stronghold was converted into a Renaissance mansion by Sebastian von Zeydlitz-Neukirch, however did not lost its defensive character. Whereas the castle was not captured during the Hussite wars, in the Thirty Years’ War its luck run out - in 1646, was blown up by an imperial order of the marshal Montecuculi. 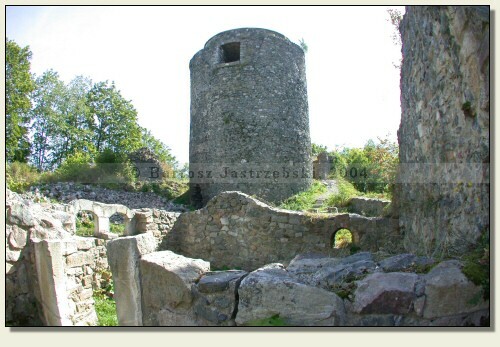 Since then the castle has been falling into ruin, which it has remained up to this day.